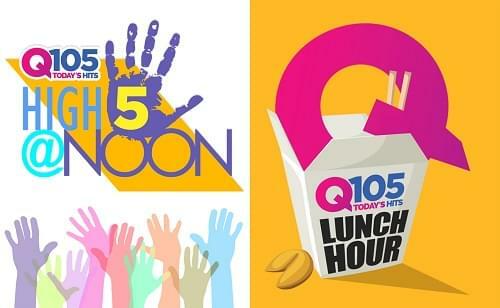 GET YOUR REQUESTS IN FOR THE HIGH FIVE @ NOON, WHERE WE COUNT DOWN THE TOP SONGS ON Q105, AND YOUR VOTE MATTERS, SOUTHEASTERN CONNECTICUT! 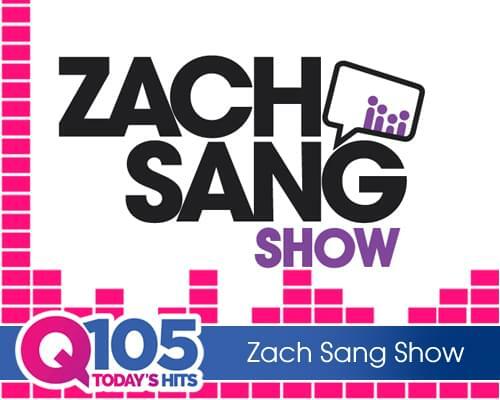 GET YOUR REQUESTS IN – ON TWITTER @Q105FM BEFORE 12 NOON! THEN SPEND YOU LUNCH HOUR WITH US AND HEAR YOUR FAVORITE SONGS ON Q105!! !